My name is Arnoux (are-know) Goran and I would like to introduce you to something that saved my life. When I was younger I experienced a tremendous amount of emotional trauma. I was constantly verbally abused by my drug addicted parents. I experienced starvation, neglect, being freezing cold and more which led to me bottling up a ton of old emotions such as anger, fear, sadness and the like. I was extremely bothered by these feelings as an adult working hard to make something of myself. It came down to this: I had to find a way to release or remove my old emotions or I would never be able to have amazing relationships, eat healthy, make money and live a life that I love. I searched and searched for a way to let go of the past emotional weight that I was carrying and could not find a single one. Mostly I found people determined to convince me that there is no way, but I never believed them. I trained martial arts with a great master who taught me that there is no such thing as “can’t”, so I persisted in looking for a way to heal emotional trauma or release old emotional pain. Eventually the many pieces I picked up from reading countless books, listening to boxes and boxes of audio programs and attending every seminar I could find on personal development fit together and I had a clear understanding of the design of the human mind, how the unconscious mind is protected and how to turn off the protection so that we can go into the subconscious mind and do something that I don’t believe anyone in human history until now has figured out… take out old feelings and beliefs from any previous life experience (without removing the memory or the wisdom from the experience) and become truly whole again. When I discovered how to do this I was over the moon! I felt like I had discovered the keys to the kingdom of Heaven on Earth. I used it to change my life. I went from being upset over and over again by different “triggers” all day long, to being happy more and more consistently. I still remember the day when I didn’t get upset once for the entire day, the first day that I could remember in my entire life. Then a whole week of being happy! I got a car (no more riding the bus), a girlfriend (I was pretty lonely and frustrated) and I began to teach it, to share it with as many people as I could. Eventually I was earning a full time living while having people come up to me in tears over and over again saying they’ve been looking for me for over 10 years, that I saved their life, that they’ve spent over $100,000 on every healer, therapist, self help seminar and book they could find and didn’t get rid of their panic attacks, depression, anger at their ex, grief from their mom dying, fear and anger from being raped and on and on. I became a hero! It was incredible! Making money doing something we love is something I believe everyone deserves in life, but getting the fulfillment I was getting from watching person after person come up on stage and share incredible stories of how they used The 7 Steps to change how they felt and their life… now that is something money cannot buy and made my heart nearly burst! At first people didn’t always get it, but eventually I figured out how to teach it so that every single person could understand and use “The 7 Steps to Reprogramming Yourself”. The results I have seen with the *thousands of people who have attended my live workshops have blown my mind and fulfilled me to no end. I love it! But before I share with you more of the results (or show you some of the hundreds of testimonial videos) people before you have accomplished in releasing their negative emotions, getting rid of their anger, their panic, their fear, their sadness, their grief and more importantly, their bad repeating life patterns… I have to warn you, I cannot promise that you will have the same results. In fact I cannot promise you anything related to the results you will produce because I don’t have a scientific study to prove that you will so I cannot legally make that claim. 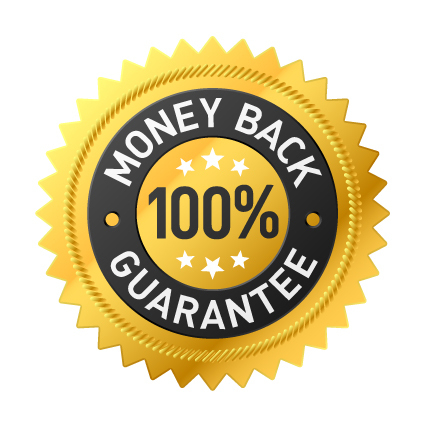 What I can promise you is your money back, 100% of it, guaranteed, no questions asked, if you don’t get the results you want from taking The 7 Steps to Reprogramming Yourself Online or Live. There was actually a scientific study done on The 7 Steps by the University of California in Irvine. The study had over 70 people in it and spanned 3 weekend courses. There were 5 surveys spread throughout the weekend courses and at the end we found that every single person who took all 5 surveys said they released negative emotions during the training AND that they could do it on their own after the training. Every single person said they erased negative emotions… and that they could do it on their own after the training. Unfortunately only 12 of the over 70 people who started the study took all 5 of the surveys. Sometimes they came late and missed a survey. Sometimes they had to leave early or miss a day of training and missed a survey. Sometimes they couldn’t get time off work so they missed a day and a survey. With only 12 people taking all 5 surveys the research team said they could not publish the study officially. But they did have a huge event showing the results of the study on campus and gave me a printout of the proof that I already knew myself… that people can learn The 7 Steps from me in a workshop format effectively and get the results they want. I was extremely pleased that every single person could do The 7 Steps and get the result they wanted during the training, that they said they released old emotions, AND that they could do it on their own after. YES! But I cannot make the claim that you will… at least not until we get another study done that is formally published. But I can promise you 100% of your money back if you decide to try The 7 Steps to Reprogramming Yourself and you heal from the emotional pain of your past. The 7 Steps is now taught in a single weekend making our next study so much more exciting! I have much more to tell you about The 7 Steps. How it can change what you are repeatedly attracting in life and the circumstances you face. I’ve created a video that you can watch if you would prefer to see or hear me explain about The 7 Steps. Please note there is no guarantee of specific results. Results may vary. If you saw the video you discovered that The 7 Steps has been found to have many applications beyond emotional healing or releasing negative emotions. I didn’t invent it just to feel better emotionally, although I did release tremendous amounts of emotional pain. I felt like I was carrying a huge bag of bricks on my back from my childhood, and taking them out one by one and placing them down made me feel infinitely better. But I had another reason for searching for the means to access the unconscious mind and take things out that I didn’t want in there… Success. To be able to create the things I wanted in life. To have a great love life. To do what I love for a living and make plenty of money at it. To stop repeating the patterns of my childhood and create what I could visualize in my mind. Many people teach that if you visualize your goal every day for at least five minutes you’ll achieve it eventually. The very wise teachers tell you that you’ll achieve the goal when every cell in your body finally believes that you will. What no one has taught is how to get every cell in your body to believe in your dream… until now. This is what a great gal named *Athena Murphy asked me as she was volunteering as an Event Angel at The 7 Steps to Reprogramming Yourself Weekend Certification Intensive. Athena had taken the course months before and came back to help others to learn and master The 7 Steps. She also wanted to share what happened to her with everyone there. When she was a young girl a family member tried to kill her by pushing her down a flight of stairs. She hit her head very hard which caused damage to her brain and spine. Then she spent decades attempting to rebuild herself. She fixed her brain damage. She got quite far. 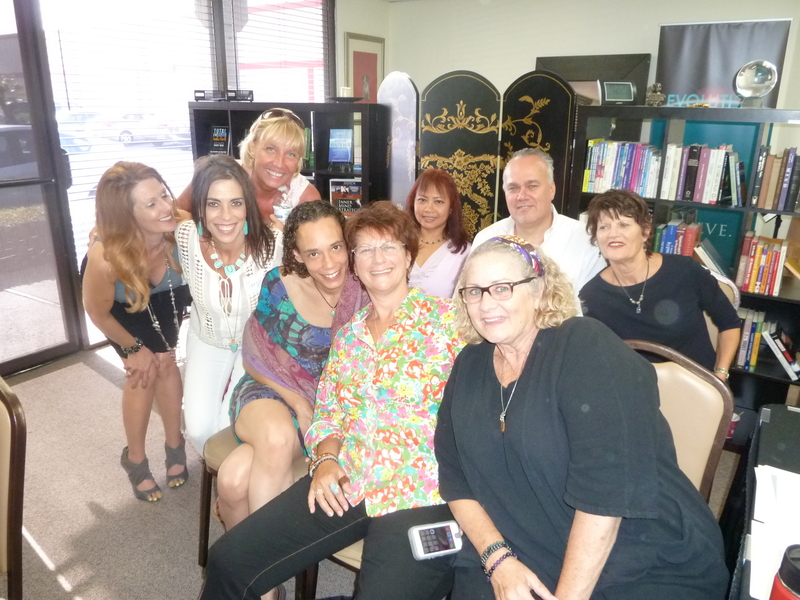 She mastered 27 different healing modalities, including many of the famous ones like NLP, and invented two new ones spending over $100,000 in the process. But she still suffered from severe emotional and back pain. What she told us was that during her training in The 7 Steps she went into the pain and worked on releasing it. It took her an hour and when it was done she said not only did all of the emotional pain no longer exist when she thought about what happened, but that her back pain went away as well. Obviously she blew everyone away with her story and saying that if she knew The 7 Steps was going to do that she could have saved herself all of those many years and just given me the $100,000 and it would have been a lot easier. That of course made me laugh! I don’t know what issues you are dealing with. What pain or bricks of emotions you’re carrying. I don’t know what your story will be. I can’t even promise that The 7 Steps will work (at least not legally) for you, but boy, I sure would like to find out and get your testimonial video. Nothing makes me happier than getting those emails, Facebook posts and phone calls from people wanting to tell me about some wonderful thing they did with The 7 Steps. Isn’t it your turn now? Even today, March 16th, 2017, I got an email from *Jared Yoder saying he wants to become an ambassador and use the same company he is using for mailers for his real estate investing business to send out mailers about The 7 Steps. It was only last month that he posted on Facebook that after a year and a half of working on it, he used The 7 Steps to erase every single issue that he had listed during the first day of the course, from his entire life, and any other thing that came up during life since then… and as a result for the first time in his life he has access to financial abundance and is making money as a real estate investor. You can only imagine how that makes me feel, to get messages like that. I feel like dancing! Seriously! What Jared did is illustrate what I meant by getting all of the cells in your body to believe in your dream. He didn’t have access to the financial abundance he desired until the cells in his body all said yes in unison. One thing that I have that I have not seen anywhere else are testimonial videos of real people (not actors) who are not paid anything but simply want to share from their heart what happened to them in the hope that it might inspire someone else to give it a try. Please take just a moment and watch this quick reel of sharing and feel the heart coming through from these brave souls and see if you can relate to some of them. You may have taken other courses that promised to remove your old pain and didn’t work. Listen to the heart felt stories of real participants of my training and see if you are inspired to try this with no risk with our 60-day, 100%, no questions asked, money back guarantee. What if during this course you drop a massive amount of baggage and peel many layers of pain off of you… revealing your true self? The 7 Steps to Reprogramming Yourself was invented by me, Arnoux (are-know) Goran in 2003 and has literally changed the lives of thousands of people. Please remember, we cannot claim that you will get the same results. We have a written or video testimonial for every single item listed above. We are simply stating what has happened to others in the past, and we hope, for billions of others in the future. I sincerely hope that will include you. In this training you will work on yourself releasing emotional and mental traumas and literally changing your life. I expect you to become a completely new, fresh and even more amazing you. Not only may your life change as mine did, but you can use it after the course as often as you want as you’ll be learning how to do it on your own. One of the most powerful aspects of The 7 Steps is that you can do it yourself for yourself. You don’t need to pay a practitioner to do it with you unless you want support and help. I did The 7 Steps on my own and got myself out of poverty. Before I invented The 7 Steps I wouldn’t have been able to afford to pay a practitioner hundreds of dollars per week or month to help me remove my emotional bag of bricks and change what I was achieving in my life. Like Jared, I used The 7 Steps to be able to afford the things I needed. Which is why I have made the program affordable to everyone no matter how broke they are. I believe everyone deserves to know how to do this. I could have just used it for myself and become a real estate investor like Jared, a stock trader, a movie star, an athlete, a fiction author or something just for my own personal enjoyment. But I didn’t because I have a heart and it says to me, “Arnoux, you have to share this with others. With as many people as you can, because they need it just like you did, and you can’t let them suffer like that. You have to do everything in your power to bring this to everyone who is ready for it. For anyone and everyone who is burdened by emotional pain from the past, who is blocked in attempting to create a dream in their life, who is suffering by not being the person they know in their heart and soul that they can be. I have done just that. The course is instantly available on demand globally through our online school. 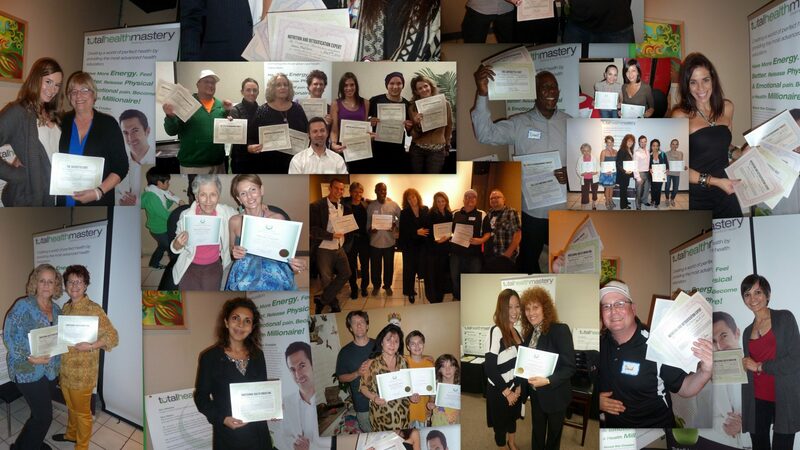 People right now are taking The 7 Steps Weekend Certification training all over the world on their computer, tablet and phone. Some people are sitting at their desk watching the video on their computer and taking notes. Others are listening while they are driving to work. It makes me so happy! If you have a heart and care about people, then I know you can relate to how I feel about sharing The 7 Steps. Jared does, that’s why he asked if he can send mailers to people’s home to tell them about it. I think once you see it work for you, you’ll feel the same way. Which is why we offer a certification with the course. Not only can you use The 7 Steps on yourself, for yourself, but this is a certification course where you can become a practitioner of the 7 Steps to Reprogramming Yourself if you choose to take and pass the online exam. Students of The 7 Steps to Reprogramming Yourself can earn a certification proving that you are a 7 Steps Practitioner and are able to do it effectively with yourself and others. *I’ve cleared TONS of emotional blockages like issues about self-acceptance, being able to receive love, and relationships with others improved. I’ve learned how NOT to hold on to others negative or painful emotions (extremely difficult to do before and was really hurting me physically). It’s such a relief to FINALLY accept myself for who I am, especially spiritually. Learning how to create an INTENTION and seeing it manifest within five minutes is so POWERFUL! I just can’t say enough! This has been the greatest blessing ever, and I am eternally grateful to Arnoux! Namaste. When someone releases an old emotion they physically look different. You might just look like a new person. There is no other process like this. It’s not NLP or anything else that you have heard of before, and it produces results like nothing else you’ve ever known of before. Try it for yourself with a 100% 60-day money back guarantee, totally risk free, and see if you can get results like our previous clients. When you erase an old emotion and remove the corresponding beliefs from your unconscious mind it is like removing mud or armor from your authentic self. Each release transforming you into more of your true self… changing the way you feel on the inside and altering what you are saying, doing and creating on the outside automatically. Allow yourself to be inspired and see if there is someone just like you sharing in this video about overcoming depression, relationship issues, violent past experiences, or making a dream come true like writing and publishing her first book by using The 7 Steps. Any area of life that you work on is available for change… and every area of life can be impacted because wherever you go, there you are. This course is about changing the energy, the being, the vibe, the overall feeling you are sending out to the world so that you can live the life you deserve. The 7 Steps is not just about releasing emotional baggage or being able to achieve goals and dreams in life that have previously eluded you. It’s also about changing the repeating thoughts in your head. According to Dr. Judith Orloff the average person thinks 60,000 thoughts every day. If you think of the human mind being designed like a computer how the The 7 Steps works will make sense to you. Your conscious mind which is aware of what you are thinking, feeling, saying and doing is like the user sitting at the computer and the screen is showing you all of life including your thoughts and feelings. When something upsets you, or “triggers” a negative emotion from the past to come to the surface, that is like a pop up coming onto your screen. Depending on how bad the upset is, the more annoying the pop up is. Most techniques show you how to hit the little red x on the screen to close down the pop up so that you feel better in the moment. That’s what happens when you journal or share what you’re feeling with someone who listens with love. You feel better in the moment, or for a while, but eventually the feelings come back to the surface. The 7 Steps is where you learn how to access the unconscious mind which is like the hard drive, or the memory of your computer, and go into the file folders and erase documents or files that you don’t like or don’t want anymore. Then you empty the trash, delete the files and then that pop up that used to come up from time to time or in some cases, you couldn’t shut down at all, never comes up again. Doesn’t it just make more sense to do it that way rather than continuing to try to close the pop ups every time they come up? For some people, their screen is filled with pop ups and they can’t possibly close them all down and keep them closed and they say “I feel depressed.” Or I have “PTSD”. Or some other word is used to describe the fact that their mind is full of bad files that keep repeating over and over again every day. How long will it take you to erase all of the negative thoughts programmed onto your system? Well that depends on how much junk you have to erase and how hard you work at it. What I can tell you is that each time you erase a nasty file or set of old thoughts and their corresponding emotion, you will see a change in yourself and therefore your life. If your mind is like a garden, yours may be beautiful and just need a few adjustments. Or if you grew up in hell like me, it might be a total disaster. A toxic waste dump that looks like a land fill! So for someone like me, it can take quite a bit of work to clean up the entire mess. Thousands of traumatic experiences were written into my programming. With each transformation, I saw a change in my life, and over time I saw that all of my life changed, and I saw I still had more work to do, so I kept going and life kept getting better and better and better. I got out of poverty and began making a great living teaching what I love and changing people’s lives. What could be better? I fixed my body (that’s a whole other story). I stopped going through long stretches of depression. I stopped going without love and suffering for it. I changed everything. Wouldn’t it be nice if your sweetheart said to you, “No one has ever treated me as well as you have. You are the most amazing person I have ever met”? That may happen to you if you do what I did and apply the 7 Steps to erasing all of your judgment about yourself and others. The only way to be truly unconditionally loving, which is the only real love, is to erase all of your judgement from your unconscious programming. What happened to me was that whoever I dated repeatedly told me that I made them feel very safe, and that they could tell me anything. Which was true because not only did I consciously choose non-judgment and unconditional love, but I erased all of my programming that was in conflict with that until it became 100% congruent inside of me. All of the cells of my body said “yes” to being unconditional love and the results in my relationships have reflected that. I’m not special in that I can make someone feel that good when they’re with me. I just applied The 7 Steps properly and worked hard at erasing the old negative repeating thoughts that were programmed into me as a child. I did the same thing with jealousy. I began to watch and observe whenever I felt jealous. Then I deleted those jealousy files with The 7 Steps. I saw that jealousy is actually the fear of not getting the love that we want as I was erasing the files. It turned out that I had four file folders with jealousy, or four jealousy weeds in the garden of my mind, and once I pulled them all out… no jealous feelings came up for me. That was in 2005. If I were to feel jealous, I would just erase that too. But I haven’t since then. I know what you’re thinking, “I can use this on my jealous lover!” Ha ha! If you erase the feelings that come up for you when your lover is jealous… you won’t make them jealous anymore, even if you do the same things, because you won’t have a match to their issue anymore. You won’t be putting out the same vibe that triggered their jealousy in the past, and the issue will disappear. It’s called mirroring or having a matching issue. If someone pushes your button, erase the button, and then they can’t push it because it doesn’t exist… and if you erase your issue, you’ll stop pushing their button, even if it’s still there. This is where you can be truly powerful in your relationships in life. I think you can only imagine the amount of happy tears that occur during the live course. It’s really something special to be a part of. By now you are probably wanting me to stop telling you all about how it works and what you can use it for and just tell you how you can get started now. There are two ways that you can take The 7 Steps online or in person. The process is very simple for either. You click on the get started button below. You decide if you first want to take the course online or in person. You choose which payment option works best for your budget. You fill out the form and voila you’re in. If you are choosing to do the live course, you will receive a welcome email with the dates, location and details of the course. All of the weekends are Friday, Saturday and Sunday from 10am to 7pm to make it easy for everyone to attend. You’ll add it to your calendar and show up excited to learn and experience it for yourself on Friday morning. If you choose to take the course online once you fill out the registration form you’ll be taken to the online school where you can begin watching video or listening to audio of the course. You’ll have an email automatically sent to you with your user name and password and a link to the school. Once you’re at the online school you’ll click on “login” or just click the collage of pictures of previous students and enter your user name and password. You’ll click on “begin a course”. You’ll scroll down to The 7 Steps to Reprogramming Yourself course (I have 11 online courses that you can choose from) and click on the title. You’ll click “begin the course.” You’ll scroll down to either the video or audio section and press play on Day 1, Part 1. Each section is one hour long so that you can easily time it with your workout, a walk, a drive, or anything that you want to do at the same time as you learn or review. The advantages of doing the course online are many. I think the most important is that you don’t have to wait to learn The 7 Steps. You don’t have to wait. You can start right now and go through the training. You’ll learn the basics of The 7 Steps on the very first day and learn how to do it ten times faster as you go on in the training. You’ll hear all about the years of research I did and the scientific side of how the mind works and how The 7 Steps works. Also with the online training you can review the course as often as you want, anytime you want. You can press pause, rewind and so on which is not something you can do at a live event. You can attend the training on any smart device. Listen on your phone when you drive so you’re not spending any additional time to learn it, you don’t have to take a Friday off from work to attend the online course. You can also sit at your computer and take notes while you find out exactly how to turn off the filtering system that keeps your unconscious programs locked in and make the changes that you want. Also with the online training you can ask questions of either myself or the entire body of people taking the course online. You can make a user profile with your cutest picture and make friends with other people around the world taking the training and practice together. Yes it can be done over the phone or video chat easily. You’ll also be taking the course in any environment that you want and feel safe to access the deepest painful feelings that you have. The advantage of the live course is many as well. You’ll make many new friends who have a similar desire to grow and make the best of themselves. Some of my greatest friends I met at seminars. Some people may meet at my seminar and later get married! You’ll be encouraged to go deep within your own issues because everyone is and that group energy will be very supportive. You may think that you don’t want people to know about your issues, and you don’t have to share them. In fact no one ever has to know anything about you or what happened to you. You can still do it on your own in the course and because others are doing it too you’ll be inspired to go much farther than you may on your own at home. You don’t even have to remember what happened to you for you to reprogram yourself and remove it from your unconscious mind. It’s one of the beautiful aspects of The 7 Steps. There are many opportunities in the live to partner with others and work with The 7 Steps which will make you feel very supported when you’re doing the work and will help you to practice coaching others through it which will give you the confidence to go home and help the ones you love or to make it into a business for yourself. 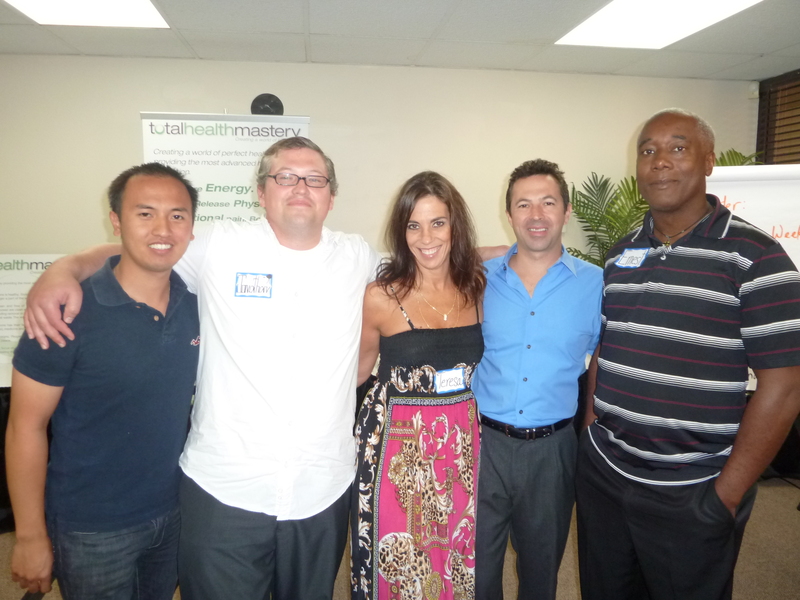 Many people are making money doing The 7 Steps to Reprogramming Yourself 1-on-1 with others. I am constantly hearing from life coaches that they are incorporating it into their “life coaching” business, or making it the primary focus of their life coaching practice. If you think you may want to make it part of or completely what you do for others then you may consider your training cost an investment in a future income. The live course is also just tons of fun with all of the music, dancing, jokes, and of course, making new friends. Whether you decide to first take the course live or in person all you need to do to get started is click on the button that says “sign me up” and you can begin your training. Thousands of people have cleared traumas from sexual abuse to OCD and everything in between. *After a challenging childhood I realized I attracted men who didn’t appreciate me because of a lack of feeling worthy inside. I erased all of that during the 7 Steps weekend and attracted a really great guy who treats me like a princess. *Hi Arnoux! I have the best of news!! I landed a job! Like a real job and not a temp one! The people are awesome and I’m am beyond grateful ! The best part about it is how it all happened. I was feeling down, started clearing the negative thoughts (using Arnoux’s 7 Steps to Reprogramming Yourself), then I thought,”I haven’t taken a bath in years.” So I filled up the tub threw in some pink salt and got a book to read. The book I grabbed was, “Power of the Spoken Word” by Florence Scovel Shinn. I read 20 pages got out of the bath only to check my email and there was the job offer! It brightened up my day and made be a true believer! I can’t thank you enough for what you’ve taught me. *I used to be very angry about my divorce and towards my ex-husband. After using the 7 steps, I cleared all my anger. I saw my ex-husband at the farmer’s market the other day, and I could talk to him in complete neutrality. I didn’t think that was even possible. I'm ready to see if The 7 Steps can work for me! Yes, Show Me All My Options! We guarantee you will love the program or 100% of your money back. Try the program risk free for 60 days! We know that you’ll say it is the best investment you’ve ever made in your life. Arnoux’s 7 Steps to Reprogramming Yourself, was previously taught in his other health courses. This is the one first time this course is taught separately as a stand alone course. Most of these testimonials were taken out from students who took learn the 7 Steps in conjunction with his other courses. What is the 7 Steps to Reprogramming Yourself? The 7 Steps is a unique method of reprogramming the repeating thoughts and held beliefs in the unconscious mind while simultaneously releasing the attached emotion(s) from the cells of the body. It works to release negative emotions and beliefs from specific or isolated traumas in life as well as repeated or daily traumas. This allows you to truly feel better in a profound and deep way, to erase the past, to change the repeating thoughts in your head and the repeating emotions in your life. It literally pulls the wool from over your eyes as it reprograms how you view the world so that the perspective from the old non-supportive beliefs no longer affects how you see life. Based on the proven concept that thoughts create reality, this process is one of the fastest and easiest ways today not only to release negative emotions and thoughts, but also to change your life. Thousands of people have used it effectively to release all types of fears, anger, sadness and other emotions producing extraordinary results in how they feel, their success levels in both finances and relationships. Some have even reported healing results in their body by using this process. The 7 Steps was developed through years of study and research by Total Health Mastery® founder and author, Arnoux (are-know) Goran. Arnoux was driven to discover how to permanently release negative emotions after an incredibly challenging childhood and terrible financial struggle in early adulthood. Through his research he discovered much of the workings and design of the mind, the system of how the mind works, and through this understanding was able to see easily how to remove unwanted thoughts and feelings from the mind. Through years of experimentation and working with clients Arnoux has created a 7-Step process by which many have also changed their lives. The 7 Steps to Reprogramming Yourself is taught in The Foundation Training Program, our 2nd course. You’ll need to get The Solution first, and then The Foundation and then pass the exam. As of 2015, we offer The 7 Steps as a stand alone course. You can get certified from our 7 Steps Course. To begin your training you’ll need to get The Solution Audio Program or our 7 Steps to Reprogramming Yourself Certification Course. The certification exam is multiple choice and available online. You can attend the course via any smart device on demand anytime, anywhere in the world as long as you have a wi fi connection. You’ll be watching a video of the course delivered by Arnoux Goran himself, not one of his certified consultants. You do not have to wait a single minute to start your training. It’s possible that a live course is available, if so it will be in the payment options and under our live events. You can also call 877-680-8200 to find out if the course is being offered live. The videos can be watched anywhere in the world that you have a wi-fi connection on any smart device immediately on demand. You can watch them on our online classroom. How long has The 7 Steps been around? 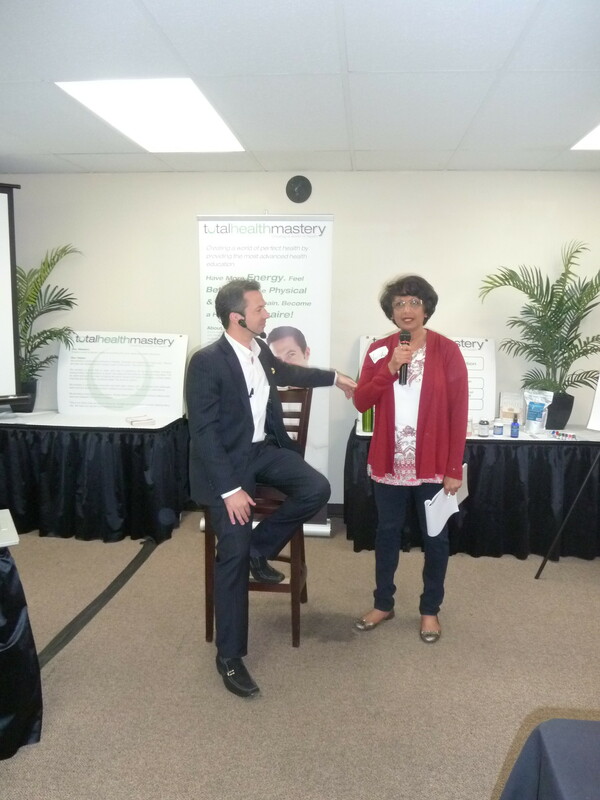 Arnoux began teaching individuals The 7 Steps right after he discovered it in 2003. The first group course taught with The 7 Steps was in 2004 in Santa Fe, New Mexico, USA. How is The 7 Steps different from talk therapy? The 7 Steps allows you to access the unconscious mind and permanently remove old programming that keeps replaying in not just your mind, but in your reality. With The 7 Steps you can permanently release old emotional traumas. Talk therapy deals with the conscious mind and does not permanently remove repeating life programs or allow you to recall a past memory and find that there is zero emotion from that past memory like The 7 Steps does. How is this different from other healing tools like Theta Healing, Access Consciousness, or Matrix Energetics? The 7 Steps addresses the unconscious mind and the beliefs stored in it. When you release those beliefs you also release the corresponding emotions and energy. There is no other tool that releases unconscious beliefs in this direct and powerful way. Many other healing tools work on the energy field or conscious mind of the human being, but none other that we have found erase the beliefs from the unconscious. Others that claim to do so usually only install new positive beliefs or programs, which if done enough may crowd out old negative beliefs… eventually, if ever. That would be like trying to plant enough flowers that there would be no weeds in the garden. The 7 Steps is the only tool that shows you how to access the unconscious mind and remove old negative beliefs or programming, rather than just add new ones . Does it always work for everyone? The University of California study conducted on The 7 Steps showed that 100% of the audience said they cleared negative emotions permanently, AND that they could do it on their own. Arnoux began teaching individuals The 7 Steps right after he discovered it in 2003. The first group course taught with The 7 Steps was in 2004 in Santa Fe, NM, USA. In the beginning, based on audience feedback, not everyone understood how to do The 7 Steps or understood how it could be applied to all areas of life. Over the years Arnoux has figured out how to make sure that every single person who attends the course can do The 7 Steps. Every single person. All people can do The 7 Steps on their own, effectively. It works for all people and does not require you to believe that it works. It works even if you don’t believe it will work. It works 100% of the time for 100% of people. The 7 Steps is a process that shows you how the mind works, and how to change it. It’s not dependent upon individual beliefs. All human beings have the same design, the human mind is designed the same for all people. Therefore it works for everyone. Can I use it on myself? Absolutely! That’s one of the best things about The 7 Steps. Rather than paying a professional hundreds of dollars for every session to “talk” about your problems, you can literally erase them… yourself! Do I get a discount if I pay off my balance early? If you choose a payment plan, you can pay it off at anytime and get 33% off of the remaining balance. This way you can get started now and still receive a significant savings in the near future. Can I buy tickets to the live course later? Yes definitely as long as there is one scheduled. If you have already purchased the online training then there is a significant discount off of your attendance to the live training. Please call 877-680-8200 to get your discounted rate. Can I bring my kids to the live course? Children as young as 8 years old have attended the entire weekend, taken notes, and are successfully able to do The 7 Steps to Reprogramming Yourself. “My friend came over to my place for a sleepover and she couldn’t fall asleep because she was afraid of the dark and we didn’t have a night light in my room. So I did The 7 Steps with her and cleared her fear of the dark and we went to sleep.” -Victora Sevilla, age 9.